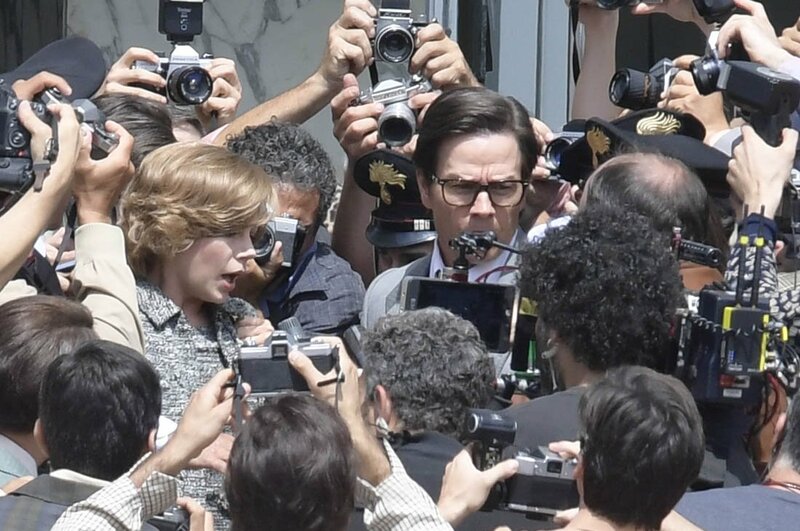 Ridley Scott's new movie is a true life thriller about the kidnapping of the 16 year old oil heir John Paul Getty III (Charlie Plummer) and his billionaire grandfather's refusal to pay the ransom. There were many sensible reasons not to do this - such as not encouraging or indeed financing further terrorist acts, but as played by Christopher Plummer, Getty I's primary motive seems to be miserliness. There's no shade, no colour. He claims to love his grandchild but we see no evidence of it. Indeed, in Plummer's hands this becomes one of the most convincing and frightening depictions of greed on screen - when Mark Wahlberg's ex CIA fixer asks Getty how much money he would need to feel secure, he roars "more", and we believe him. I won't spoil the consequences of this miserly response, but suffice to say that it pits Getty against his ex daughter-in-law Gail (Michelle Williams). She is seen as the voice of reason, familial love, and frustration. She's also, thankfully, not without her own smarts in going up against the oil tycoon. There's lots to like in this thriller - and I genuinely didn't know how it would turn out for poor JPGIII. Ridley Scott avails himself of some superb location photography, from LA DOLCE VITA recreated Rome, to sunrise in Marrakesh, to the menacing, claustrophobic, winding streets of a Calabrian hilltop town. Williams and Christopher Plummer give excellent performances, Romain Duris is also superb in a supporting role in the kidnapper with a heart, and this offsets the somewhat banal presence of both Wahlberg and Charlie Plummer. I also liked the screenwriter's willingness to mix up the linear timeline early on, and show us a younger version of Grandpa Getty and how ruthless he was. That said, this movie is not without its flaws. It suffers from a lack of pace in its middle section, Scott is clearly not interested in the victim's experience, Wahlberg is just miscast, and Williams, whose performance is good, chooses to adopt a Katherine Hepburn style mid-atlantic accent that kept on pulling me out of the film. ALL THE MONEY IN THE WORLD has a running time of 132 minutes and is rated R. In the UK it is rated 15 for strong violence, injury detail, threat and language. The film was released in 2017 in the USA, Greece, Israel, Canada, Belgium. France, Malaysia and Estonia. It opened earlier this year in Australia, Italy, Bulgaria, the UK, Ireland, Lithuania and Romania. It opens on Jan 11th in the Netherlands, on Jan 12th in Finland, Jan 18th in Hong Kong, Jan 25th in Brazil, Denmark, Hungary, Portugal, Singapore, Norway, Poland and Sweden, on Feb 1st in South Korea, on Feb 15th in Germany, on Feb 22nd in Russia, and on Feb 23rd in Spain and Turkey.